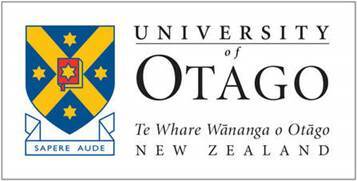 The University of Otago ('Otago') is one of New Zealand's most well-known universities. Located in Dunedin in the South Island, the university plays a major role in in New Zealand's medical, dentistry, law and science academic communities. Otago is known for its world-leading academic rankings while its diversity in degrees, post-graduate study and investment in technology are current key priorities. Otago is known for its vibrant student life and beautiful university campus grounds (#12 in the Daily Telegraph's global list). MoneyHub considers the QS World University Rankings and the Times Higher Education World University Rankings, which are both recognised as the two leading authorities worldwide. 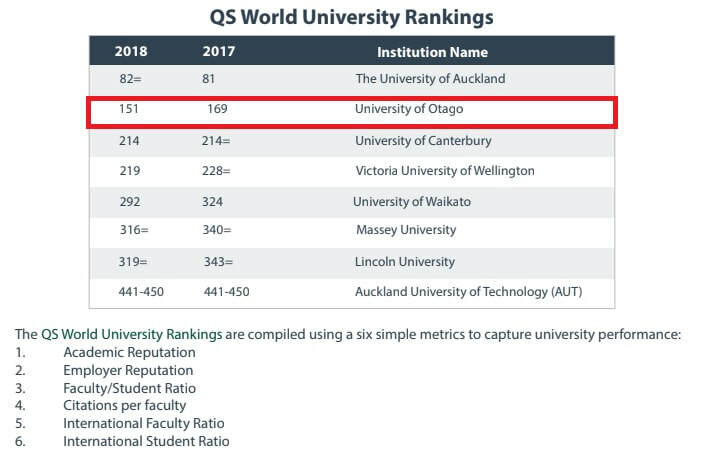 The University of Otago ranked #2 within the eight New Zealand Universities measured by the QS World University Rankings and #201-250 as measure by the Times Higher Education. Comparing Otago with other New Zealand universities, it is second after the University of Auckland. Otago meets the needs of its students with a wide range of library services. A central library dominates the campus, with seating for over one thousand. Specialised Health Science and Law libraries are located close to their faculties. Otago's library network is one of the largest in New Zealand. There are opportunities for a limited amount of paid work. Local work near campus includes food and beverage, retail, tutoring and one-off labour positions. The university also hires students to work in its libraries. Student Job Search, an independent organisation operates in Dunedin and offers a job matching service for current students looking for casual, temporary or permanent positions. Halls of Residence also employee students to supervise younger students. Otago University's Careers Service has an experienced team to help students make the most of their degree. Services include career planning, CV assistance, job search, assistance with making job applications and connections with employers and industry. Throughout the year, Otago holds careers fairs attended by employers from all over New Zealand. The University of Otago Student Health Centre has a number of doctors. In addition to medical appointments, Mental Health support and counselling is also available. The university has extensive facilities for students with disabilities, and the Disability Information & Support team works with over 800 students registered with a disability. The team offers specialist support services that enable students with impairments to reach their educational goals and develop their full potential. The University of Otago Students' Union (OUSA) offers a wide range of services including advice, events, media publications, activities and campaigns to ensure students get the very best from their university experience. Membership is free of charge, and voluntary. OUSA represents Otago's 20,000+ student community on undergraduate or postgraduate issues. The University of Otago is New Zealand's oldest University. It accepted its first students in July 1871. 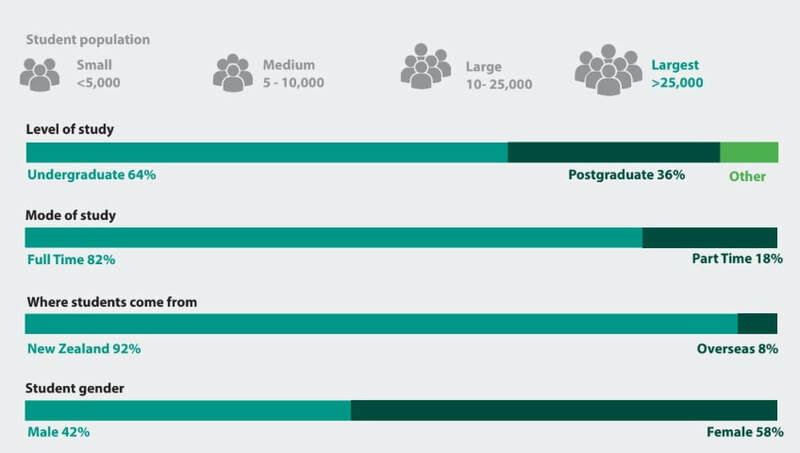 The majority of the University of Otago's New Zealand undergraduates come from state schools. Otago's most well-known alumni include former New Zealand Prime Ministers, numerous All Blacks (New Zealand's national rugby team) and politicans. Dunedin is an attractive and historic city, and has a very youthful and cosmopolitan feel. Sitting on the Otago harbour, there is plenty to see and do with a city full of historic and iconic buildings including the Railway Station, Courts of Justice, University Clocktower and a number of churches. The campus is north of the city centre, separated by a 5 to 10 minute walk. Dunedin city has plenty of shops, cafés, restaurants, cinemas, bars and clubs. The university has plenty of green spaces, and the river Leith runs through the main campus. Dunedin has one university and one polytechnic; the large student population gives the city a youthful atmosphere. Dunedin has plenty of bars and pubs, although its nightlife has matured after the University recently moved to close all but one of the popular student pubs. Dunedin is known for famous bands such as Six60 and there are several venues which offer live music. ​Dunedin has three cinemas and a number of museums. Local festivals run throughout the year. The Forsyth Barr stadium, located near to the university campus, attracts international musical acts and has a seating capacity of over 30,000. Dunedin is home to the Otago Highlanders, a rugby team that competes for a national title every year. In addition to this, New Zealand's national rugby team, the All Blacks, often play matches in Dunedin. These events bring a lot of atmosphere to Dunedin and the university in general. Dunedin has an Olympic-sized swimming pool, football fields, an athletics track; and the university also has its own sports facilities. Membership of a university gym is provided free of charge to all students. Most students walk between their accommodation given the proximity of the university campus. Cycle parking is abundant and parking in the residential streets beside the campus is free of charge. The city of Dunedin has frequent and inexpensive local buses plying the city. Dunedin is easily reached by plane - both Air New Zealand and/or Jetstar operate direct services to Auckland, Wellington and Christchurch, and there are shuttle buses linking the airport to the city. MoneyHub uses statistics on crimes that are most likely to impact students. Official data for crime specifically against students enrolled at the University of Otago is not available. In the 12 months up to 31 March 2018, there were 192 reports of crime in the University of Otago area and 3,459 reported crimes in the wider Dunedin area. If you have any suggestions or tips to help us improve this guide, please contact our research team - we would be delighted to hear from you. MoneyHub does not endorse any of the education providers listed, and the information, content and material provided in the listings is the sole responsibility of each education provider.